Ron and Maggie Tear Photography: Ice bear. London has so many new sculptures this one is unusual. 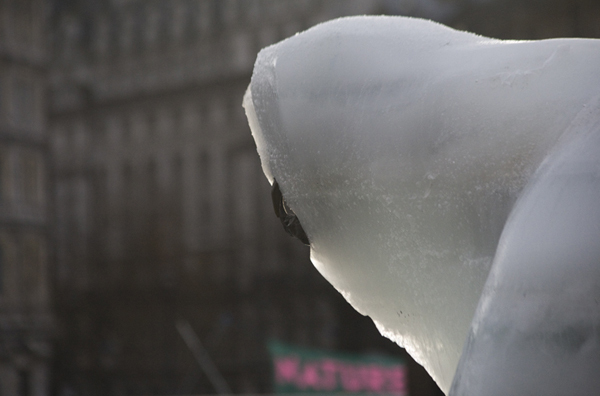 An ice sculpture of a Polar Bear, representing the polar ice and climate change. There will be a metal sculpture when the ice has melted.